If you're evaluating cosmetic surgeons, New York certainly has many to consider. No doubt you have discovered that already! One factor to take into account is the quality of your prospective plastic surgeon's staff. Each member plays a very key role in your comfort and safety – indeed, a great team can make the difference between a satisfactory experience and one that's exciting, enjoyable and rewarding. We believe our staff is the finest of any cosmetic surgeon in New York. Not only is each individual an experienced professional, each one is warm and caring as well. Perhaps the aspect of the team that's most unusual is how long the group has been together. Patients benefit from the way the team works together seamlessly and supports each other. Susan is a licensed Registered Nurse and works alongside Dr. Jacobs in the operating room. She has an extensive background in various demanding hospital settings, including orthopedics and ENT surgery. 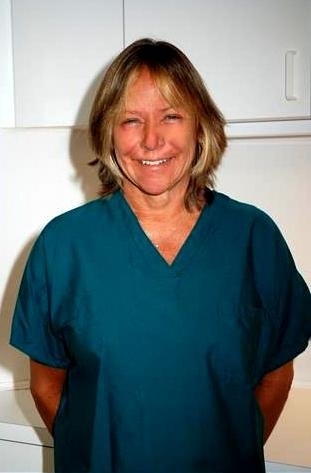 Susan has been assisting Dr. Jacobs since 2009. She is glad to bring her hospital training to the cosmetic surgery environment. 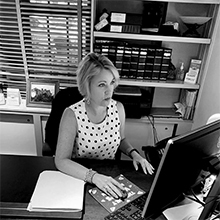 She says she "loves working in a professional, private office setting with a friendly and knowledgeable team. I'm very happy to be a part of Dr. Jacobs' team." 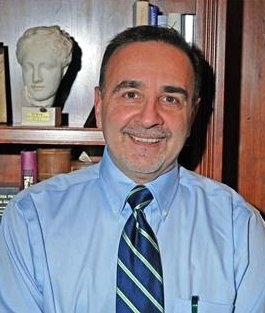 A native New Yorker, Dr. Calvello is a fully licensed Medical Doctor as well as an anesthesiologist. He received his M.D. from New York Medical College in 1985, then trained at St. Barnabas Medical College in New Jersey, Lenox Hill Hospital in New York City and Brookdale University Hospital and Medical Center in Brooklyn. He interviews each patient the morning of surgery, then stays with them through the entire surgical process including their recovery. He understands how some people may be anxious about a surgical procedure, having been one of Dr. Jacobs' patients himself. Dr. Calvello has specialized in anesthesia for plastic surgery for 25 years and has worked with Dr. Jacobs almost the entire time. They have done thousands of cases together, and he believes patients benefit tremendously from the team's preference for sedation anesthesia over general anesthesia. "They wake up quickly and experience much less 'hangover,'" he says. "Patients go home awake and comfortable." Cathy was born and raised in Ireland. 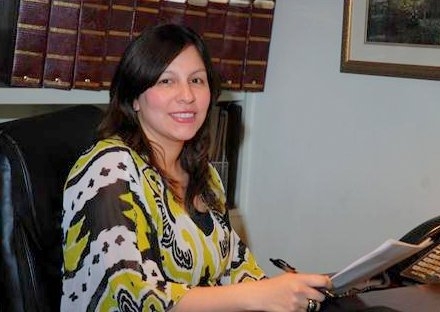 She has worked in the medical field for 12 years with dermatologists and plastic surgeons. She was a licensed aesthetician for five years. Cathy is the first person patients speak with when they contact the practice to schedule appointments. She's adept at answering patients' questions and facilitating patient interactions with Dr. Jacobs and Jennifer. Cathy has worked for Dr. Jacobs since 2003. She enjoys working with patients through their entire surgical experience. She says, "I try to make every patient feel at ease and to let them know that they have come to the best place for their procedure." Cathy strives to give each patient personal and individual attention. Jennifer is a licensed Registered Nurse and she also holds a bachelors degree and was a licensed EMT for eight years. Jennifer has worked in the medical field for more than 24 years and is fluent in her native language, Spanish. She plays more than one role when it comes to patient care. Jennifer meets with patients after their consultation with Dr. Jacobs -- answering questions, addressing concerns, reviewing pre-and post-surgical procedures and instructions, discussing pricing and payment options and handling scheduling. In addition, Jennifer is also the Circulating Nurse in the operating room. "Patients like the continuity of care and are often comforted to see my familiar face in our surgical suite." She is also responsible for many aspects of the operating room and recovery area including supplies, log books, serilization processes and more. "Our practice is accredited by the Joint Commission, and I work closely with Dr. Jacobs to assure that only the highest standards of care are implemented in our facility." Jennifer has a unique vantage point, "Being a patient as well as an employee, I can understan what a person is feeling in anticipation of cosmetic surgery. My goal is to make them comfortable and keep them informed. The more a person knows what to expect, the less anxious they are, so I make it a personal objective to be very attentive." She adds, "I want patients to know that besides being an accomplished and experienced plastic surgeon, Dr. Jacobs is also a sincere person and he never compromises patient safety and satisfaction. This unique combination is what makes me proud to be part of this team." Whether you're considering rejuvenation with a facelift or eyelid lift or a body sculpting procedure such as liposuction, whether your goal is to enlarge your breasts with implants or to minimize them with female or male breast reduction, or if you're simply seeking skin rejuvenation, contact us. Our team looks forward to helping you all along the way. You'll find our Manhattan cosmetic surgery offices at 815 Park Avenue, click for directions. Our phone number is 212-570-6080.